Home > Holiday Deals > Build-A-Bear 60% off Sale – Ends Wednesday! 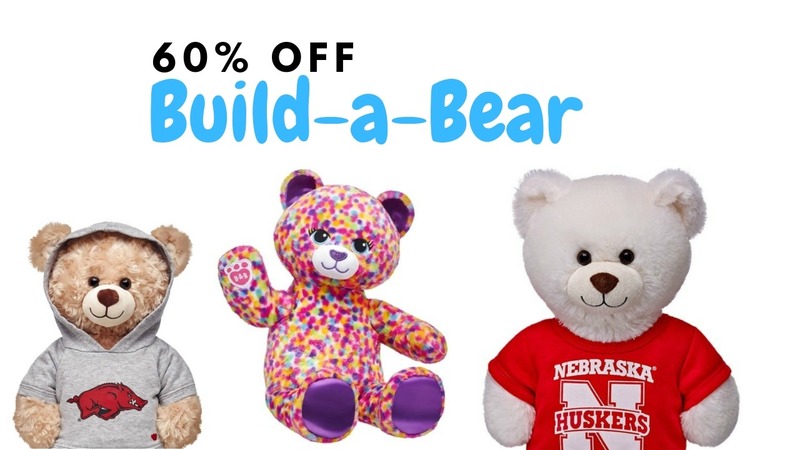 Build-A-Bear 60% off Sale – Ends Wednesday! Head over to Build-A-Bear and check out Furry Friends marked down up to 60% off through Wednesday! Grab any of the animals unstuffed if you want and take them to a local store and let the kids stuff them like normal (this saves a ton over buying the animals full price in the store). They also have a number of shirts and outfits on sale too. I found a lot of team apparel even! If you want to shop in-store then take this 30% off coupon with you, good on all Furry Friends.